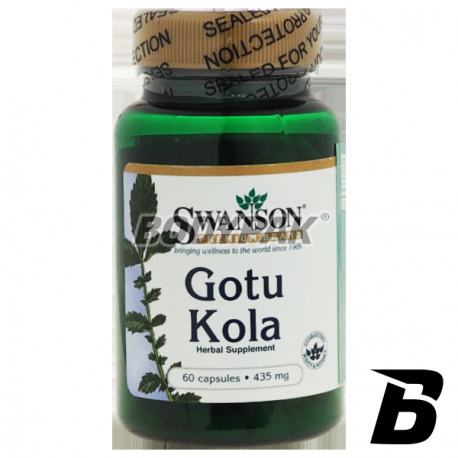 Health & BeautySwanson Gotu Kola 435mg - 60 kaps. 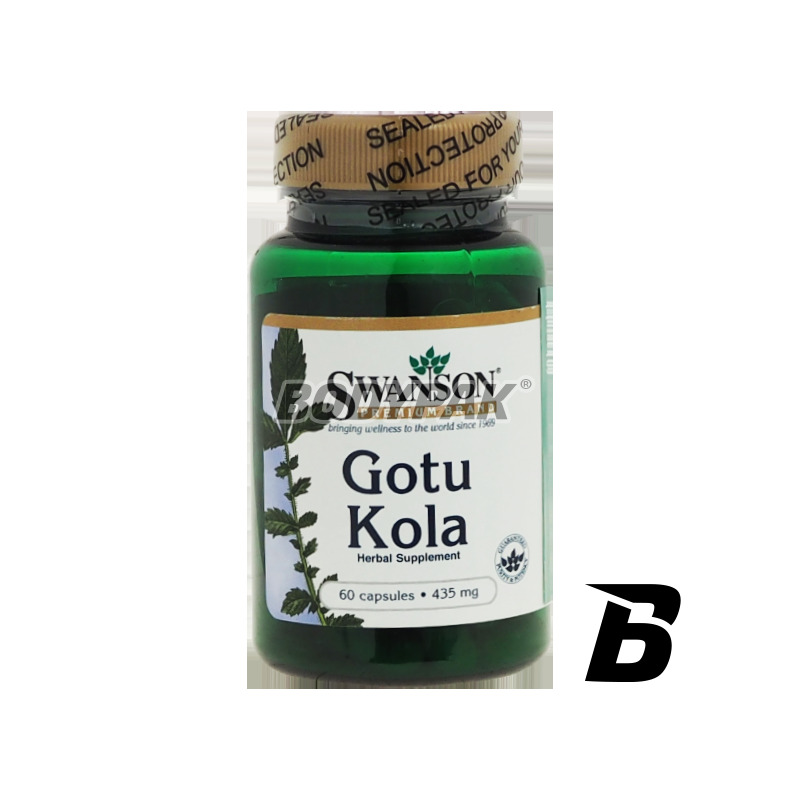 Swanson Gotu Kola 435mg - 60 kaps. High-quality dietary supplement produced on the basis of Gotu Kola, a great impact on improving the functioning of the cardiovascular system, improves memory and concentration and appearance of the skin. EXTRACT 100MG CAPSULES IN ONE! Swanson Gotu Kola beneficial effect on blood circulation, improves memory, strengthens blood vessels. Also it includes the components necessary for the production of collagen, which supports the body's ability to renew the skin and wound healing. Gotu Kola supports the work of the brain and stimulates the central nervous system. The use of an extract of gotu kola make skin rejuvenation, prevent the formation of new wrinkles and even reduce cellulite. Conditioner Swanson, whose source is an extract from the gotu kola strengthen rebuild brain cells and eliminates the symptoms of mental fatigue of the body. Składniki: Gotu Kola, otoczka kapsułki: żelatyna, mąka ryżowa. Swanson Alpha Lipolic Acid [Kwas alfa liponowy] 300mg - 120 kaps. Alpha lipoic acid is one of the most effective antioxidants. Supports the work of the circulatory system and the heart and protects the organs of sight! Nutrafine Omega 3 1000mg - 90 kaps. Olimp Gold Krill - 30 kaps. Olympus Gold Krill - A healthy diet supplement for everyone. It's a real innovation in recent years in the area of the heart - krill oil has a strong and comprehensive action to support the work of the heart and circulatory system. Salvum Revenal - 60 tabl. UNS Guarana - 30 kaps. UNS MACA 500 - 30 tabl. Swanson Urinary Tract Essentials - 60 kaps. Urinary Tract Essentials - natural supplement to support the resistance of the urinary tract contains cranberries, d-mannose, bromelin and complex probiotics. NOW Foods Pau D'Arco 500mg - 100 kaps.